First Man: Was Adam the First Man? Many believe that humans existed before the creation of Adam and Eve. Considering the biblical account and the fossil evidence, who was the first man? According to the Bible, the first man was Adam. 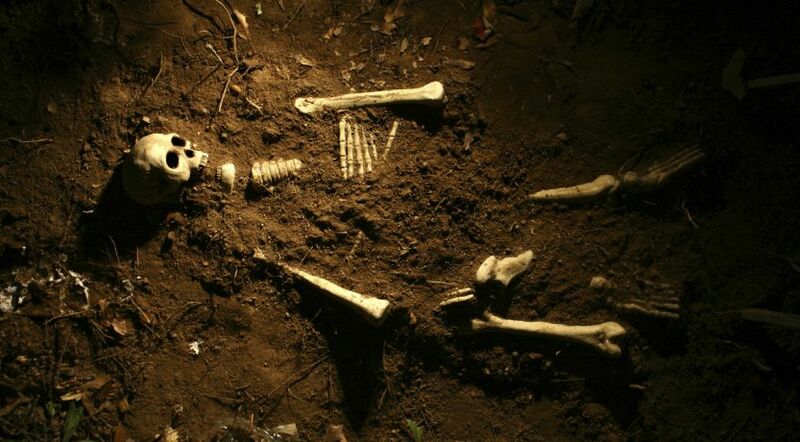 But many scientists claim that certain unearthed bones are from humans who lived prior to Adam and Eve. Which is true? Our answer is based upon the premise of having proven that the Creator God exists and that the Bible is His inerrant revelation to mankind. The first chapter of Genesis records that after creating plants, marine life, birds and all other animals, “Then God said, ‘Let Us make man in Our image, according to Our likeness. …’ So God created man in His own image; in the image of God He created him; male and female He created them” (verses 26-27). Genesis 2:7 adds detail to the manner in which God created the first man. No other physical creature was made in the very image and likeness of God. The rest of chapter 2 through chapter 5 gives a summary of how God made the first woman, and how the human race developed after Adam and Eve. Genesis 3:20 says that “Eve … was the mother of all living.” In other words, all humans ever born descended originally from Eve. Genesis 5:1-2 says, “In the day that God created man, He made him in the likeness of God. He created them male and female, and blessed them and called them Mankind in the day they were created.” The New Testament confirms that Adam was “the first man” (1 Corinthians 15:45). Adam and Eve were created approximately 6,000 years ago. This is based on the biblical record of genealogies and historical accounts. While this number is approximate, it is not off by thousands or tens of thousands of years. This brings us to the question of bones claimed to be those of humans many thousands of years older. There are two major issues to examine here: (1) the reliability of age estimates based on radiometric dating methods and (2) whether some bones are actually human. Many people assume that the ages reported for certain fossils are always correct and accurate. They do not realize that radiometric dating of fossils is not a precise science, that results can vary widely for the same fossil (there is more explanation of this fact in Marvin Lubenow’s book Bones of Contention), and that a number of factors can greatly skew the results. The presence of water, for example, is one of those factors. Since a worldwide flood (water) occurred in the days of Noah (which most scientists dismiss), accurate dating of fossils becomes more difficult. Thus, some bones that appear to be human are actually human—but they should be dated since the time of Adam and Eve. They are not “prehistoric” at all. However, because radiometric dating methods can produce variable age ranges, the scientist must often choose what age he thinks the fossil is based upon circumstances, theories and even biases pertaining to the fossil and evolutionary theories. Another element that has shaped many people’s assumptions is the way evolutionary artists choose to depict what a fossil looked like when alive (sometimes based on only a small part of a skeleton). Remember, fossils have no flesh, hair or clothing, but artists often depict them as covered with thick hair, with poor posture and other primitive appearances to match their conjecture model of what the fossil was and when it lived. They could depict the same fossil as being clean-shaven, well-dressed and sitting at a desk, and it would look like a modern office worker today! Human, or some other species? Now let’s look at the question of whether some fossils are of human or animal origin. As we mentioned earlier, some fossils are actually human, but are misdated. In reality, they are from the time since the first man, Adam. But other fossils are miscategorized as human. Many people don’t realize that some fossils that are portrayed as prehistoric humans are actually only a very few bones or fragments from which the evolutionist speculates what creature they belonged to in order to establish “missing links.” In reality, they may simply be the bones of animals that lived before or after Adam. As mentioned above, often a very wide age-range can be ascribed to a fossil by using radiometric dating methods. Coupled with this is the fact that many evolutionists believe that the layers of strata on the earth were deposited at a fairly uniform rate all over the earth. Thus the evolutionary model dates fossils according to where they occur in the geologic strata—and dates the strata according to the fossils it contains—which is often circular reasoning. The reality is that the world has experienced enormous geologic upheavals, both before Adam and after. That’s right—the Bible indicates that the earth existed prior to Adam and that there was evidently life upon it (though nonhuman). Genesis 1:1 records an initial creation of the heavens and the earth at an unspecified time in the past. What we do know is that when the earth was created, all of the angels were still righteous and in harmony with God (see Job 38:4-7). Following the earth’s creation, the angels apparently occupied it as their “domain” (Jude 6). Isaiah 14:13-14 reveals that Lucifer at some point decided to rebel and “ascend into heaven” to replace God. Genesis 1:2 next records, “The earth was [or ‘became,’ as this word can also be translated] without form, and void.” We know from Isaiah 45:18 that God did not create the earth “in vain,” which is the same word translated “without form” in Genesis 1:2. The earth apparently became a wasteland of chaos, confusion and destruction during the rebellion of Satan and the angels who followed him (now called demons). But before the angelic rebellion and resultant destruction of the earth, there is nothing in the Bible that precludes the possibility—or probability—of life on the earth during the time the angels occupied it. In fact, the fossil record of dinosaurs and other creatures and plants that we do not have in our world today indicates that they lived in a quite different world prior to Adam. Genesis 1:3 then begins to record the reconstruction of the earth, this time as a habitation for humans, whom God created at the end of that re-creation week, approximately 6,000 years ago. So yes, it is possible that fossils exist that predate Adam by many, many years. But no, it is not possible that any fossils predating Adam are human. In summary, hominid fossils are either humans (who have lived since Adam) or animals that lived since Adam or animals that lived prior to the first man, Adam. Does the Big Bang Theory Require a Miracle? What Do You Mean, Evolution? Is God Really the Creator? Is God Really Concerned for Me? Consciousness and Free Will: Why Are Humans Different From Animals? Is the God of the Bible Still Around? The Biblical Flood: Fact or Fiction? Learn More About Is There a God?